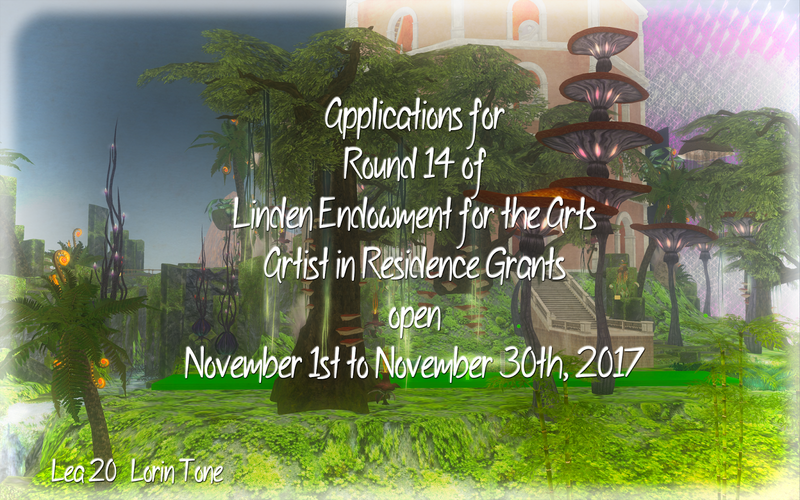 Linden Endowment for the Arts: Would YOU like to be an Artist in Residence at the Linden Endowment for the Arts? Would YOU like to be an Artist in Residence at the Linden Endowment for the Arts? The LEA Land Grant is a program to distribute 20 regions (LEA10-LEA29) generously donated by Linden Lab to promote art and artistic endeavors in Second Life. These full regions of virtual land are made available to in-world artists for a six month period.